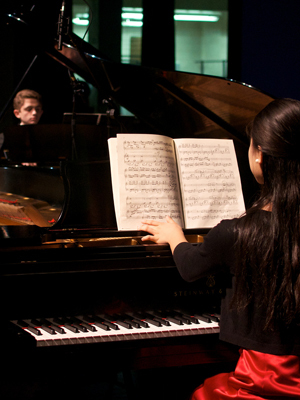 The Texas State International Piano Festival Duo appeared on Show 274, recorded in June 2013. The Festival Duo is comprised of two students who are participating in the Texas State International Piano Festival this summer. 13-year-old pianist Melvina Kuoshu is from Greer, South Carolina where she attends League Academy and studies music with Lisa Lee. Outside of music, she is involved in competitive swimming. Also in the duo is 16-year-old J.T. Hassell who is from Amarillo, Texas, where he attends Ascension Academy and studies with Jim Rauscher at Amarillo College Preparatory Music School. Outside of music, J.T. enjoys reading and traveling.